Bermad › How Tos › How to minimise water hammer in irrigation schemes. If you’ve ever turned on a tap and heard “thud, thud, thud” as the water comes out, that’s water hammer. Banging and vibrating sounds caused by hydraulic shock waves transmitting throughout the system. These ‘waves’ are caused by pressure surges that occur when there is a sudden increase in the demand for water, and air becomes trapped in the pipeline. If you’ve ever turned on a tap and heard “thud, thud, thud” as the water comes out, that’s water hammer. It can cause distress to pipes, which can gradually erode the quality of your pipeline network over time. In reasonably flat topography, when the pump is turned off, column separation can occur. Column separation is where the air valves draw large amounts of air into the pipeline, followed by a fast release of air as the column re-joins. 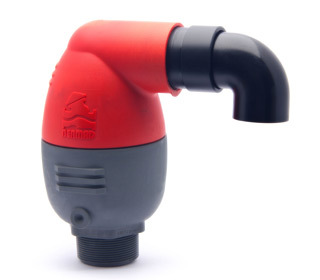 As this can happen very quickly, standard combination air valves can generate water hammer when the large orifice changes quickly, causing the pipes to bang and vibrate due to hydraulic shockwaves being transmitted through the pipe. 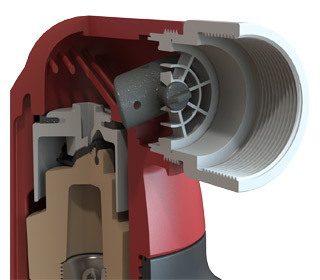 Use a valve that limits air discharge. 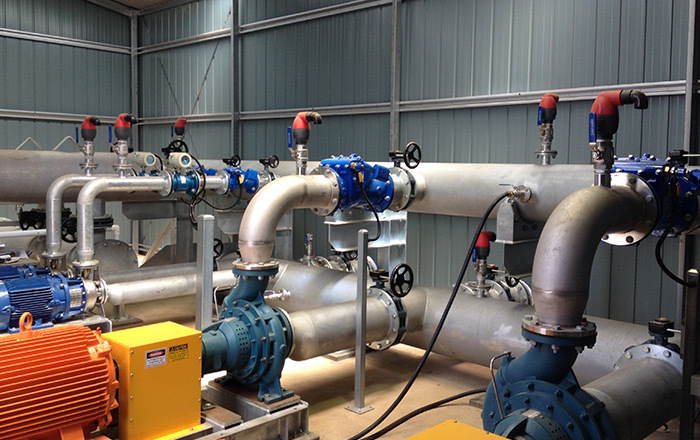 By including a valve that limits air discharge, such as the Bermad C10-SP (surge protection), the column is allowed to return to its normal state under controlled conditions. Surge protection features control air discharge to prevent air valves “slamming shut” and trapping air.